Wheelchair Dancesport involves athletes with a physical disability that affects the lower limbs. Wheelchair dancers may participate in “combi” style dancing with an able-bodied (standing) partner or “duo” style dancing for two wheelchair users together. Wheelchairs users can use an electric or manual wheelchair. Who can attend? Anyone is welcome to come along and see what we do. Individuals or couples, wheelchair uses or able bodied are all welcome to attend. 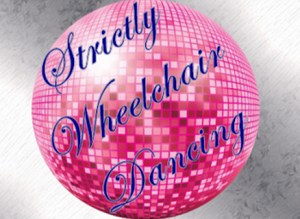 We teach competitive Wheelchair Dancesport and social wheelchair dancing. Video clip of what we do.